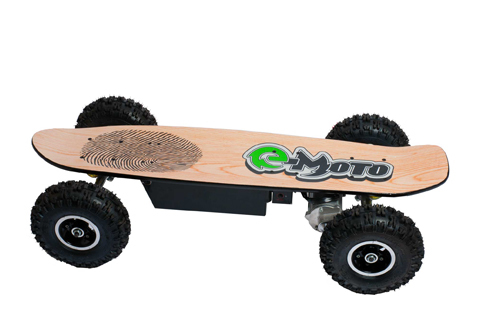 What skater wouldn’t want a skateboard with an 800 watt electric motor? Not to to mention an all-terrain one? 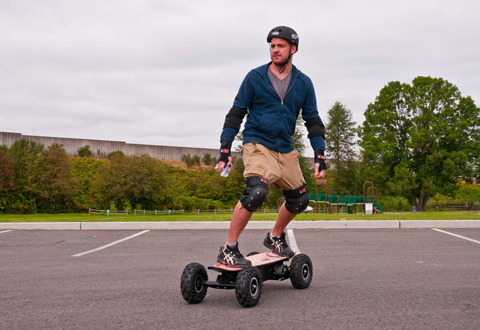 Skate up to 20 miles per hour on the streets or off-road on the All Terrain Electric Powerboard! Don’t forget to wear a helmet!